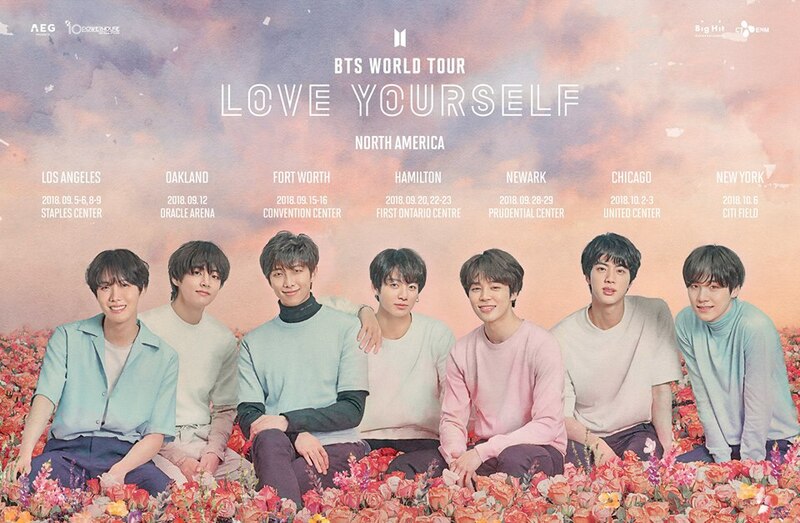 Jin, Suga, J-Hope, RM, Jimin, V and Jungkook of K-pop boy band BTS will become the first South Korean singers to perform in a solo concert at an American stadium. After releasing their new album titled “Love Yourself: Answer,” they will perform in New York City. On October 6, 2018, BTS will perform at Citi Field, a 40,000-seat stadium in Queens, New York City, New York, Yonhap News reported. This is last stop for the North American leg the K-pop boy band’s world tour, which has a total of 33 concert performances. It has yet to be confirmed whether or not Ashley Nicolette Frangipane, who is professional known as Halsey, will be featured as a special guest at the concert of the BTS boys at Citi Field. The American singer, songwriter and actress recently met with the members of the K-pop boy band in Seoul. On August 6, 2018, Halsey was in the capital of South Korea for the Asian leg of her Hopeless Fountain Kingdom world tour. While in the city, she reunited with the Jin, Suga, J-Hope, RM, Jimin, V and Jungkook whom she met in May 2017 at the Billboard Music Awards. The K-pop boy band and Halsey have been friends since then. On August 7, 2018, Halsey took to Instagram to share a photo of her reunion with the BTS boys.